What is owned media and is it right for my business? You may have heard the phrase ‘owned media’ and want to know if it’s something that will benefit your business. As a communications professional, I say “YES” because it allows you to talk directly to your stakeholders and control the content and messages. By generating this content yourself (or outsourcing it to a PR agency to handle) you are effectively a publisher and can create a following just like any media outlet. However, there is a right way and a wrong way. Quality content is key and to avoid being self-promotional. 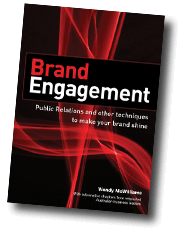 It’s important that you earn trust among your audience and have the objective to be an authority in your industry and the go-to person/company for credible information. Make your content informative, interesting, authoritative and occasionally humorous and you will attract and continue to engage with followers who are or will become customers. And that’s the name of the game: generating business. There is no reason a small to medium sized business cannot adopt an owned media model in their business. But it does need to be embraced by everyone in the company including the CEO to make this happen. 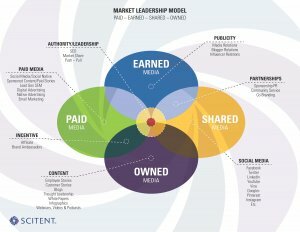 Owned media is just one part of the PESO model, which comprises: PAID, EARNED, SHARED and OWNED. Refer to the above illustration. I will cover other areas of this model in future posts. To enhance the effectiveness of owned media I recommend investing in shared media such as LinkedIn, Facebook, Instagram, etc. A combination of owned and shared in your marketing mix can maximise your budget and provide a greater return on investment than earned media alone. If you would like advice on implementing any part of the PESO model or starting an owned media program, please contact us here.